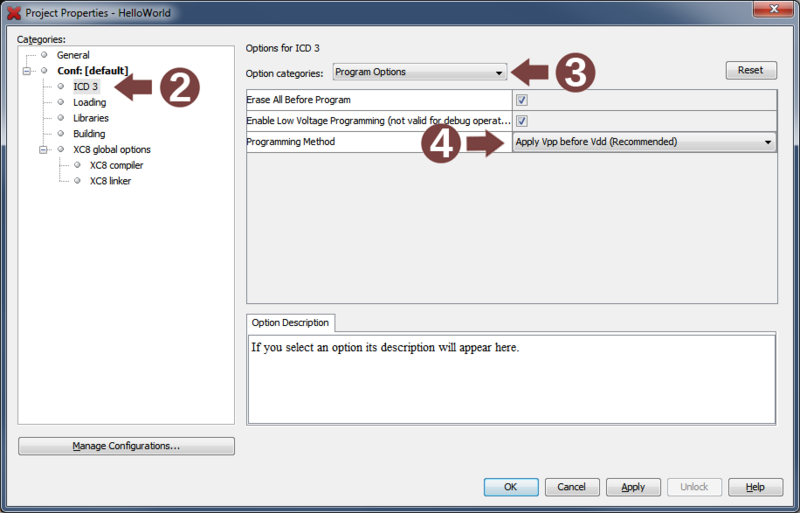 Check box if you want to enable low voltage programming (LVP). For the LVP configuration bit set to "High-voltage on MCLR/Vpp must be used for programming", you may only program in high-voltage. This option is for programming only. It is not valid for debug operations.